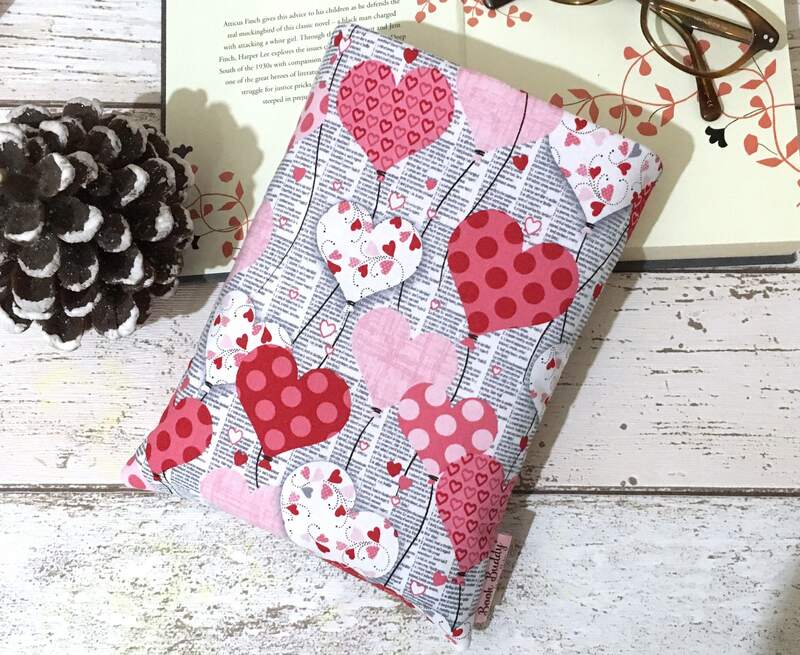 Paper Hearts Book Sleeve - a padded book sleeve available in 4 different sizes, ideal for protecting your books wherever you go! Protect your books with a Melvis Makes Book Buddy® - a slightly padded book sleeve, perfect for your latest read to travel in. Made from 100% cotton, with a pink & red heart balloons design over a black & white print background to outer, and a coordinating baby pink lining. The Book Sleeve is padded with a lightweight fleece.